coming to the continent of Antarctica was a dream for a long time and the reality of being there is still something I think about every minute of the day. Goose bumps pop up on my arm when I remember and allow myself to drift back to moments of our trip. 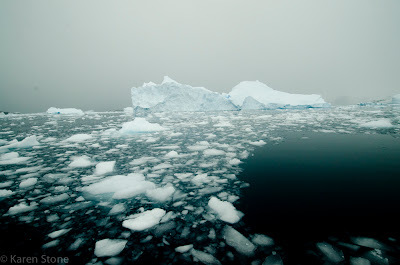 One of the first trips we did was a zodiac tour around an ice field, the weather was the dullest day of our trip but the icebergs and flows were tremendous despite the grey skies. 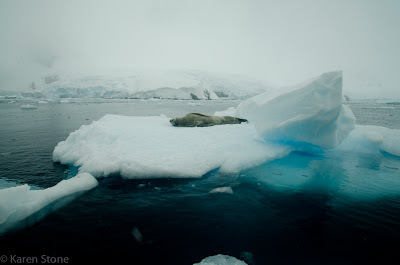 Leopard seals lay upon icebergs and allowed us a close up view of this formidable predator. 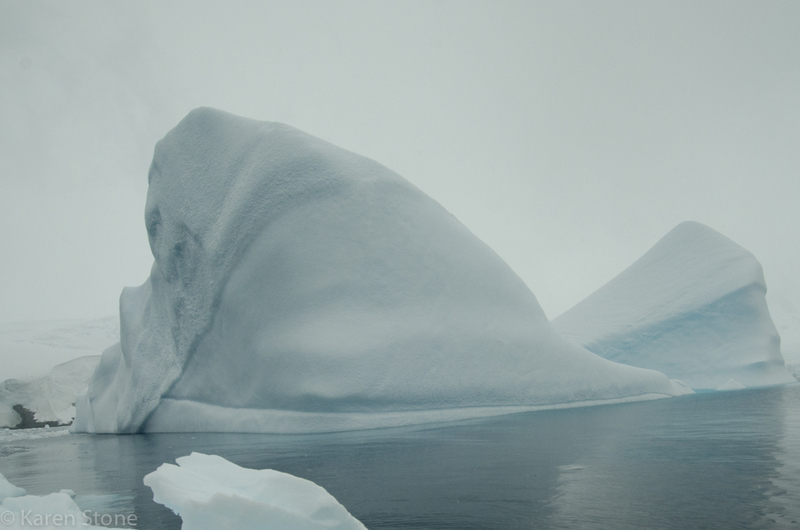 The colours that are reflected both above and below the water are mind boggling, the depth the icebergs go to is not seen from the surface, but it is estimated that the part above the surface is only between 10-20% of the actual size of the iceberg. Icebergs need to be 5m or 16 feet in length to qualify for the title of "Iceberg" otherwise they are bergs and growlers. 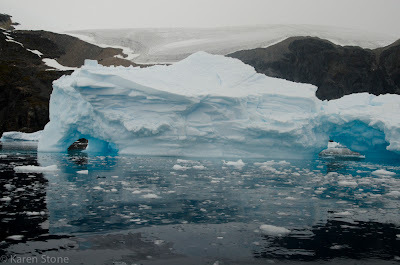 We were lucky enough to see several icebergs rolling, where they completely turn upside down in the water, though only small icebergs were seen by us the pure size of some of the icebergs sent a shudder down my spine at the thought of them rolling. The importance of icebergs and ice to the ecosystem of Antarctica is huge, algae grows on the underside of the ice and are fed upon by krill during the winter months when the ice is at its thickest. 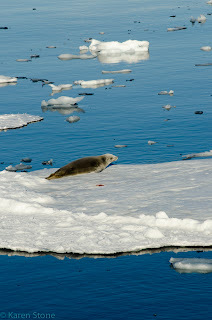 Seals and penguins use the icebergs for resting and escape from predators such as Orcas. 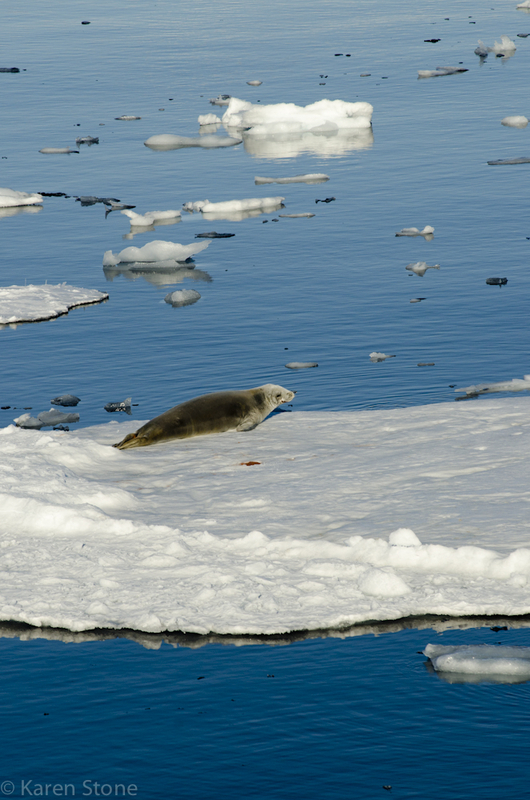 Estimates of over 25,000km2 have been lost in the last 50 years from the 10 floating ice shelves, and on the peninsula 40% of the sea ice coverage has declined. Yes it does change, but once great areas have been lost the amount of time for it to come back to even one tenth of what it was takes far greater time than it did to lose it!